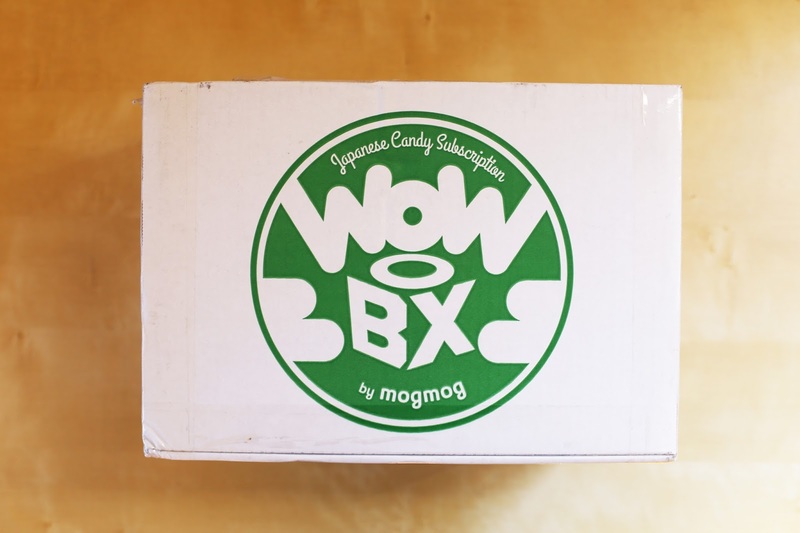 WOWBOX is a Japanese snack subscription service by mogmog, a company based in Japan. 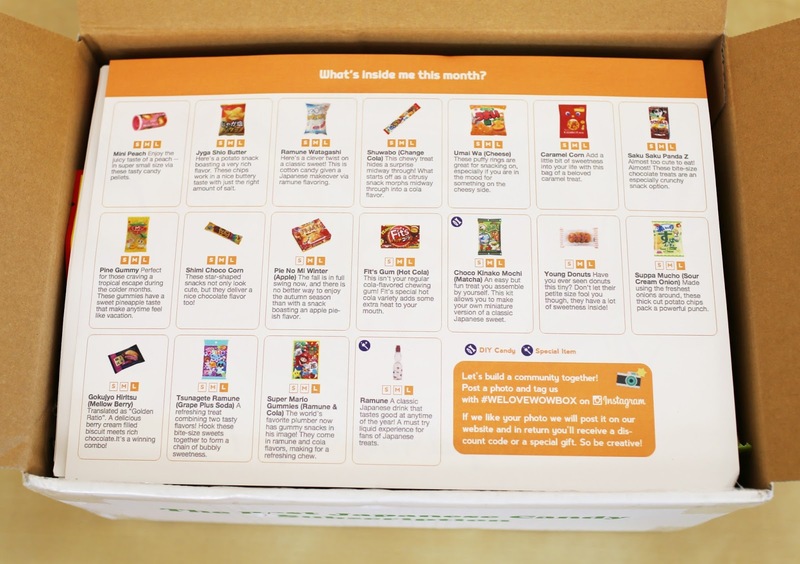 The snacks were selected and directly shipped from Japan. The great thing is shipping is already included in the subscription fee. That is pretty awesome! When I first receive it at my mailbox, it looks like this, their own shipping box with WOWBOX logo on it. Once you open the top cover, you immediately see their introduction of November 2015 box and the box you chose. For this particular review, it is going to be about the "Original Fun & Tasty" box, which there are two other themed boxes you can choose from: Kawaii & Beauty and The Classic. 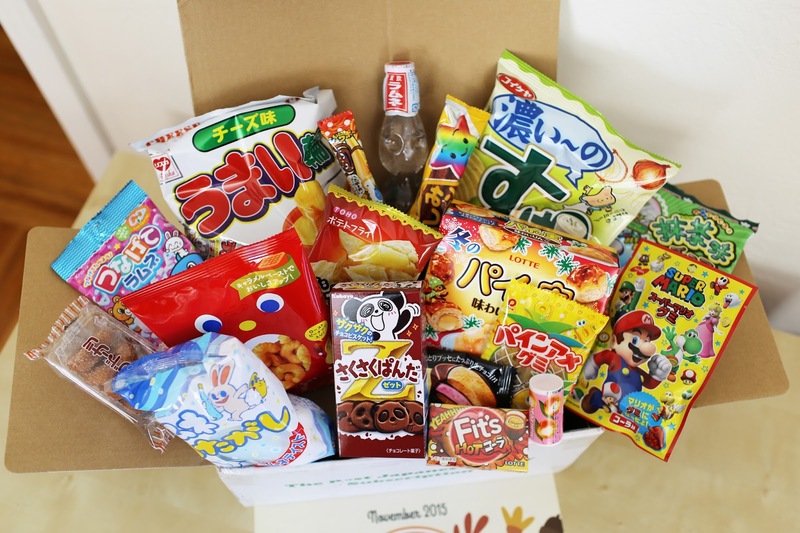 For the "Original Fun & Tasty" WOWBOX, what we have here is a large size so there are amazingly lots of snacks that includes many sorts of snacks. 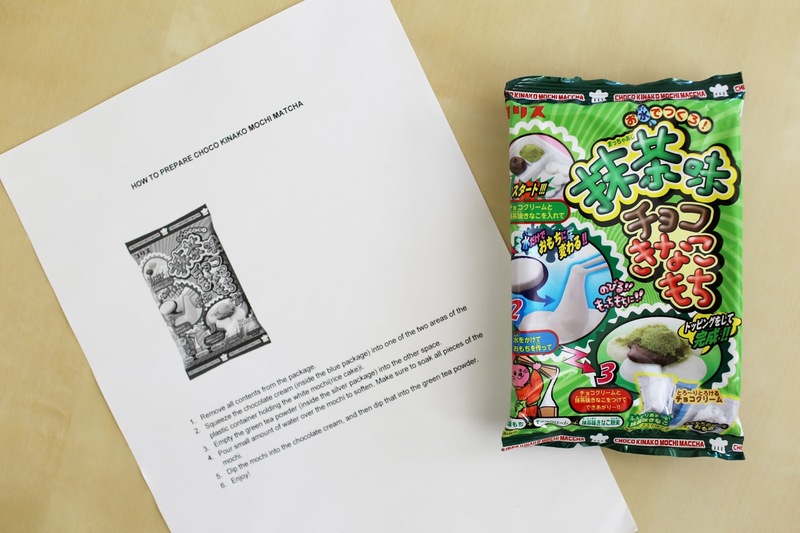 There is something fun like a DIY snack, something cartoon-ish like the Super Mario's gummy candy, a carbonated soft drink called Ramune, something cute like panda cookies and Watagashi (cotton candy), as well as something classic like Tohato's Caramel Corn and Orion Star's Mini Peach Candy. What's also neat is that they translated a lot of important details in English. 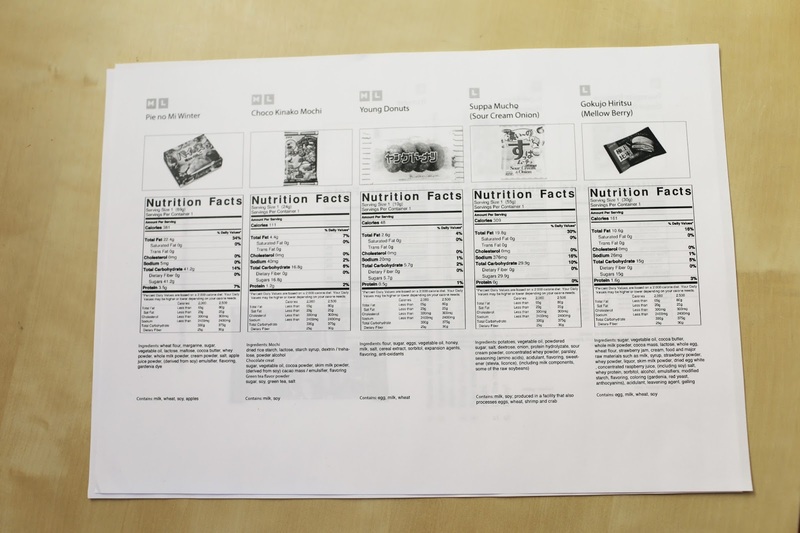 Below is the translated nutrition facts as well as instruction on how to prepare DIY snack. As mentioned before, the box is shipped directly from Japan and they ship their WOWBOX to over 70 countries with shipping fee already included in the subscription. If you are interested in getting WOWBOX for yourself (or your friends) for the holiday, I have a special 10% off code for you! Don't forget to plug that in when you check out! 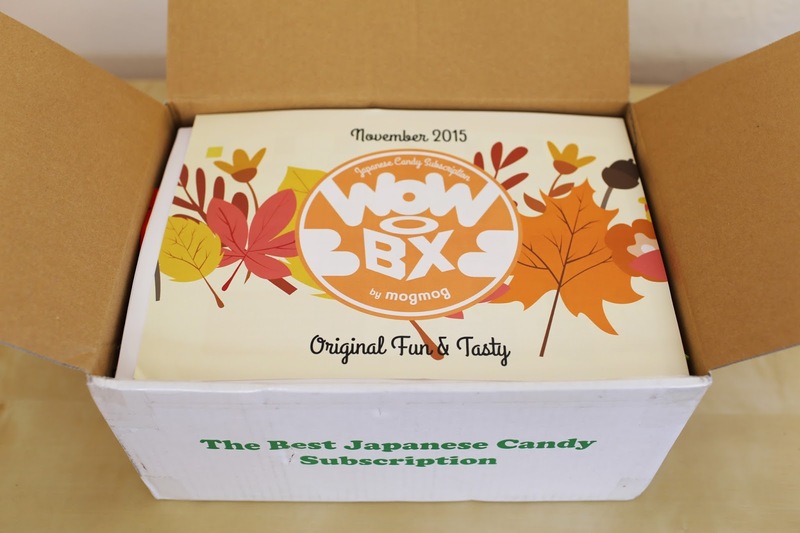 Find out more about their other themed snack boxes on WOWBOX's official website at HERE ! Happy Eating! were there any great or really surprising discoveries you can share?